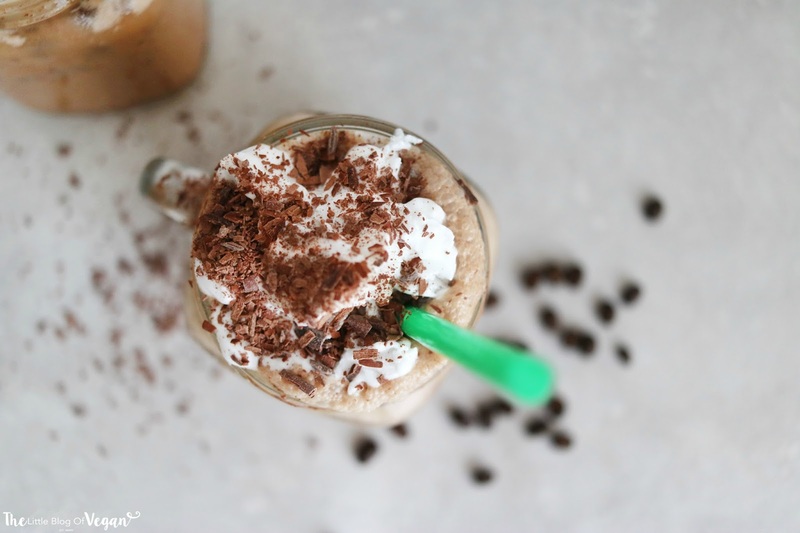 How to make the best vegan Starbucks Java Chip Frappuccino! 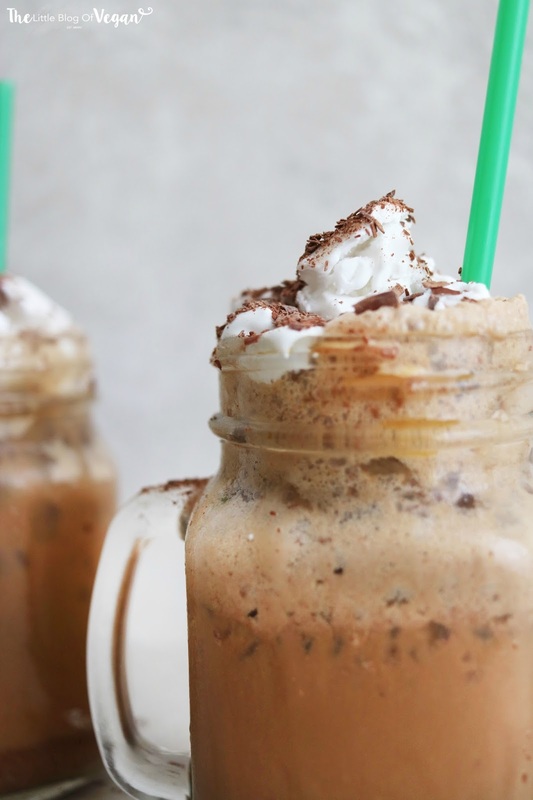 The Java Chip Frappuccino is an iced coffee with chocolate chips, mocha sauce topped off with cream and more mocha sauce. Yummy! 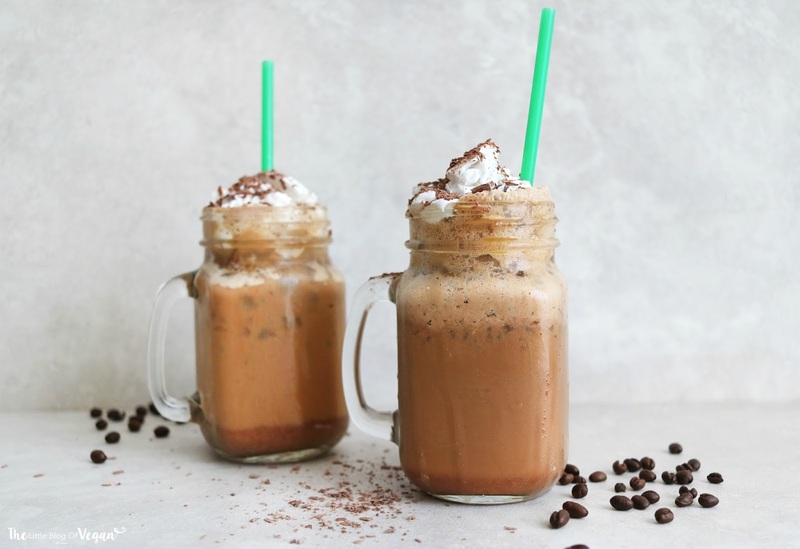 The original Starbucks Java Chip Frappuccino includes chocolate pudding, I decided to use the delicious Coconut Collaborative 'little choc pots'. Check out my blog post reviewing the little pots of chocolaty goodness here. This drink would be a perfect 'pick me up' on a hot & sunny afternoon. It is 100% vegan and dairy-free! 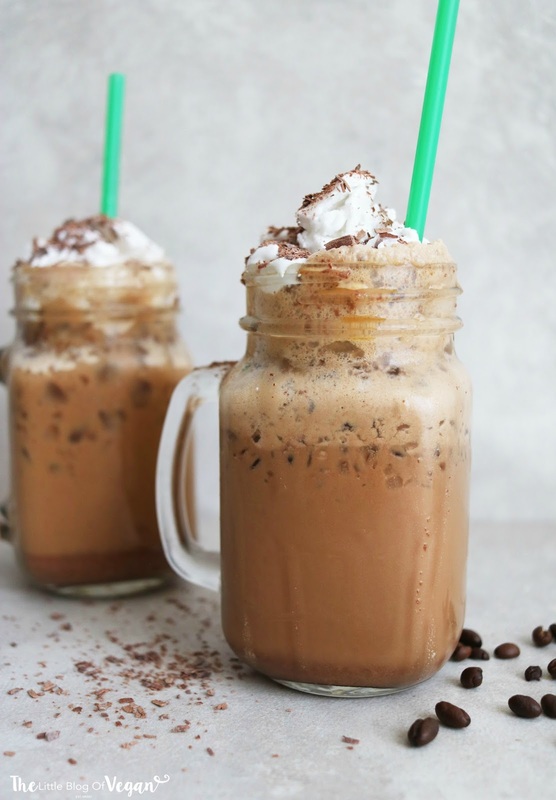 I used freshly brewed espresso with dairy-free chocolate and a dollop of coconut cream to create this tasty drink. 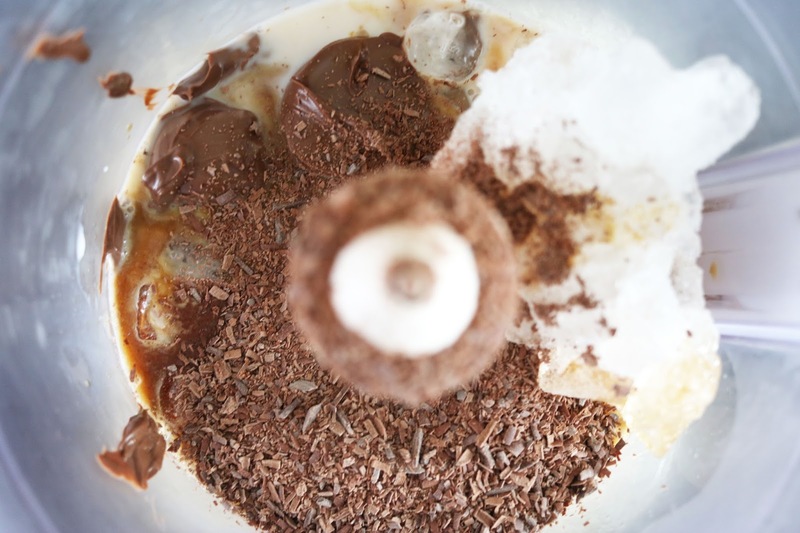 Step 1- Place the ice, dairy-free milk, coffee, chocolate pudding, chocolate chips, caramel syrup into a food processor/blender and whizz up until blended. Step 2- Pour into a glass and top off with cream (I used whipped coconut cream, but if you can find a vegan/dairy-free spray cream, you can use that). Add on some chunks/grated chocolate and serve. 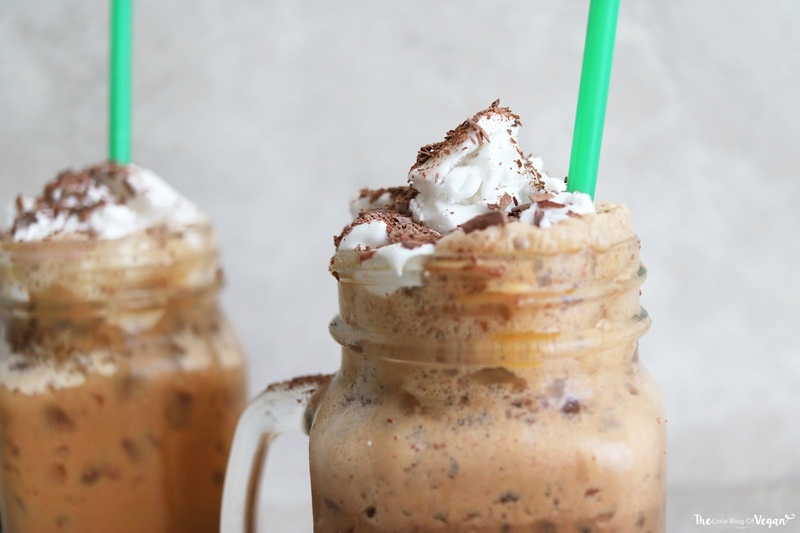 Even add a drizzle of chocolate sauce for the classic java chip look. Haha! It's amazing, delicious and yummy chocolate drink. It's lots of fun when you drink it after a deep massage on earthlite massage table at own sweet home.